PHOENIX – Arizona’s drug overdose crisis shows no sign of slowing. Yet like much of the country, there aren’t enough doctors in the state who are trained to treat addiction. That’s beginning to change, though. For the first time, Arizona will have a path for aspiring addiction doctors to become specialists in their field through in-depth fellowship training. Two newly approved fellowship programs are expected to offer a pipeline of talented and highly trained addiction doctors, including Dr. Hillary Tamar. Tamar, 28, wasn’t thinking about addiction medicine when she started medical school in Chicago. Her early experiences did not encourage her to pursue the specialty, either. But in her fourth year of med school, she did an elective rotation with Banner Health and was assigned to a rehab facility in southern Arizona. “I was able to connect with people in a way that I haven’t been able to connect with them in another specialty,” Tamar recalled. Working with patients there transformed her understanding of addiction and showed her the potential for doctors to change lives. “They can go from spending all their time pursuing the acquisition of a substance to being brothers, sisters, daughters, fathers making breakfast for their kids again. It’s really powerful,” she said. Tamar now is in the next stage of her medical career – a residency in family medicine in Phoenix. 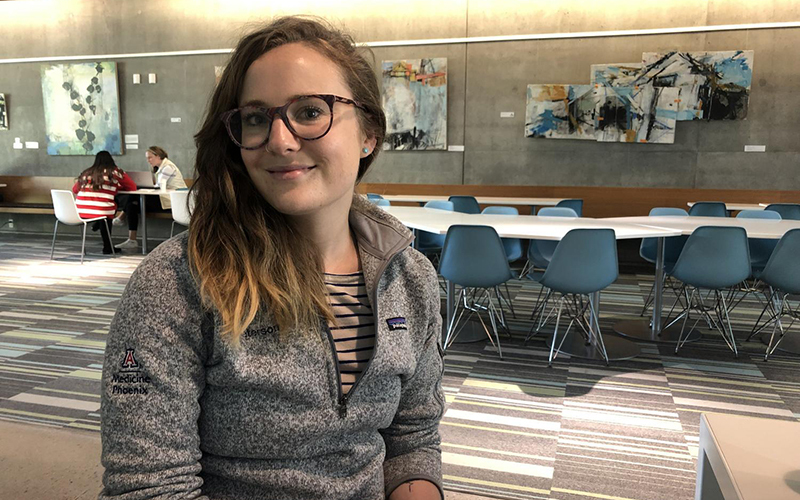 When she’s done, she’ll apply for fellowships in addiction medicine, which is essentially an extra year of specialized training after residency. Like primary care, Tamar said, addiction medicine is a way to build lasting relationships with patients, focused on more than just a single diagnosis. Doctors with Tamar’s enthusiasm are sorely needed. More than 70,000 people in the U.S. died from drug overdoses in 2017. The U.S. Surgeon General has estimated 21 million people struggle with addiction, and the supply of doctors has not kept pace with the growing crisis. Dr. Luke Peterson had to leave Arizona to pursue a fellowship in addiction medicine in Washington state. “I really needed to do a fellowship if I was going to make an impact and be able to teach others to make the same impact,” he said. But Peterson came back to Arizona once he finished his program. A family and addiction physician, Peterson helped found a new fellowship at the University of Arizona College of Medicine-Phoenix, Banner-University Medical Center and the Phoenix VA Health Care System. The other new addiction medicine fellowship is a partnership between Honor Health and Community Bridges. Both programs recently received approval from the Accreditation Council for Graduate Medical Education. Peterson said not every doctor who plans to treat substance-use disorder needs to complete a fellowship. In fact, his goal is to integrate addiction medicine into primary-care settings, but fellowships create a “hub,” a resource for doctors in the community who want to treat addiction. That can include training for medication assisted treatment like buprenorphine. Fellowship-trained physicians also give primary-care doctors somewhere to refer the more complex cases. He reflects on his own journey into addiction medicine, which began during a rotation with a family doctor in rural Illinois. It was a formative experience for Peterson, one he wants other young doctors to have. And he recognizes the urgency. “In 20 or 30 years from now, those medical students are going to look back at my current generation of doctors, and we will be judged with how we responded to this epidemic,” Peterson said, adding that his generation had similarly judged the way doctors handled the HIV epidemic in the 1980s. Those with a long history in the addiction field are optimistic about the new cohort of addiction doctors. That includes Dr. Anna Lembke, medical director of addiction medicine at the Stanford University School of Medicine. It’s entirely different now, she said. Students are hounding her to learn more. “At least the medical community has begun to wake up to consider not only their role in triggering this opioid epidemic, but also the ways they need to step up to solve the problem,” Lembke said. Historically, the path to addiction medicine primarily went through the field of psychiatry. In 2015, that started to change when the American Board of Medical Specialties – considered the gold standard in physician certification – recognized addiction medicine as a bona fide subspecialty, opening up the training to physicians from many other disciplines. Until then, Lembke said, there was no way to get accreditation for addiction fellowships, which made recruiting young talent even more difficult. Today, there are nearly 60 addiction-medicine fellowships in the U.S. Still, Lembke is heartened by the social-justice warriors she sees in this next wave of physicians. 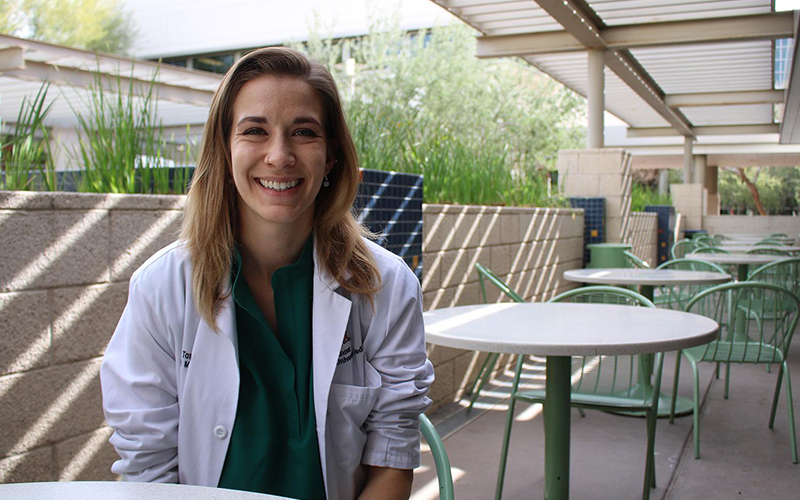 Michelle Peterson, who’s in her first year at the University of Arizona College of Medicine, already feels a calling. She became interested in addiction after working at an outpatient treatment center. Peterson already is learning about addiction in her classes, hearing from doctors in the field and seeing classmates equally engaged. It’s a trend she and many doctors hope continues.